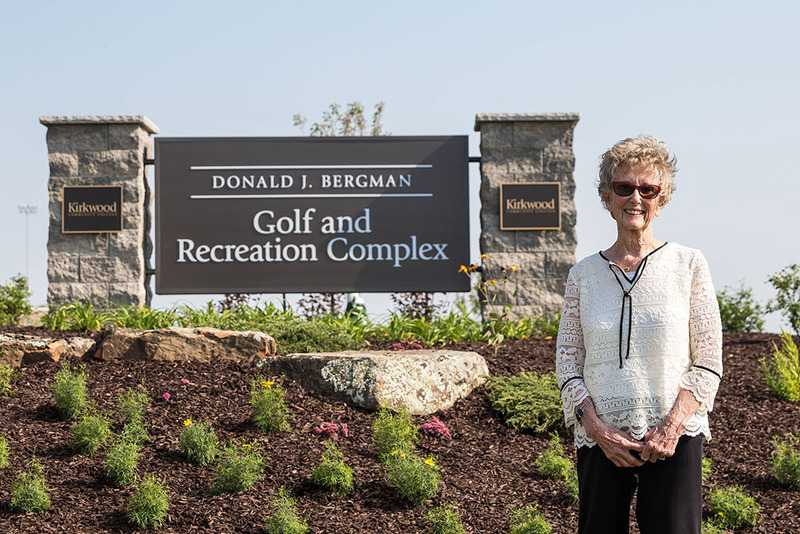 CEDAR RAPIDS, Iowa (September 15, 2017)-Kirkwood Community College dedicated the new Donald J. Bergman Golf & Recreation Complex in a ceremony on the college’s main campus on September 14. The dedication, attended by college leaders, community partners and the Bergman family, was in honor of a memorial gift to the college for student scholarships. For more information on the Donald and Miriam Bergman Endowed Scholarship, as well as the Kirkwood Foundation, go to kirkwood.edu/foundation.